A couple of days ago, developer Steven Troughton-Smith found some code in the first beta of iOS 8 that allows for split-screen multitasking on iPad. Now, as reported by 9to5Mac, he has managed to hack the iOS 8 iPad simulator to make the functionality work, albeit only partially. To demonstrate how iPad split-screen multitasking works on iOS 8, Troughton-Smith has released the video below, showing the iPad simulator running on split-screen mode: If you can't see the video embedded above, please click here. 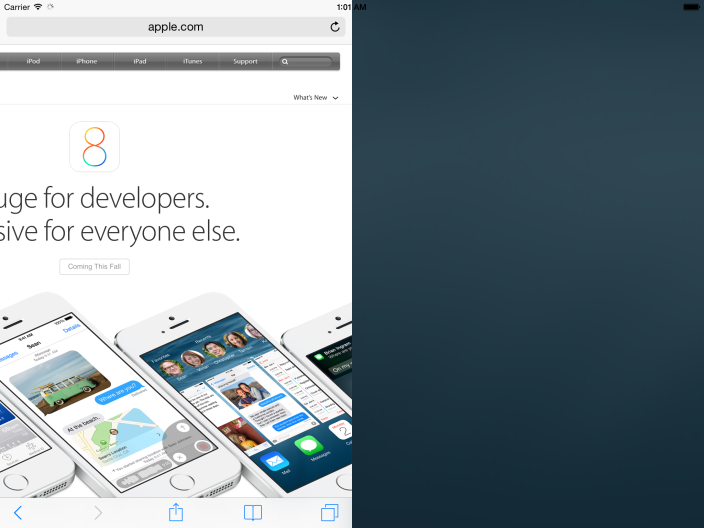 As seen in the video, one side of the screen is running Safari, while the other side is blank. The blank space is supposedly for another app to take up, but the simulator is yet to be tweaked to enable two different apps to run side by side. In any case, this corroborates earlier reports claiming that Apple has been working on an iPad split-screen multitasking feature. Also shown in the video is the use of a two-finger swipe feature to control the size of either app in split-screen mode, which can be adjusted to take up half, a quarter, or three quarters of the screen. Rumors of the iPad split-screen multitasking feature first emerged early last month. But a few days before WWDC, news broke that the feature was still very much a work in progress and therefore not yet ready to be previewed by Apple at its developers conference as part of iOS 8. Here's hoping the functionality does make it after all into the public release of iOS 8 this fall or in a later update to the software. See also: Next-Generation iPad Air Will Reportedly Enter Production This Month, When Should We Expect Apple To Release iOS 8 Beta 2?, and More Images Leak That Apparently Show Apple's "iPhone 6." 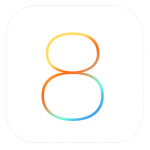 When Should We Expect Apple To Release iOS 8 Beta 2?